Come experience the University of Waterloo with Renison University College in a supportive academic community where everyone can follow their passion. You will also have the opportunity to experience the uniqueness of each individual that walks through our halls as being part of a close-knit residence community consisting of 207 people. Discover why studying at Renison is such a rewarding experience. You can check out the credit programs on offer for undergraduate, postgraduate, and graduate programs. You can also look into our Community and Professional Education programming. 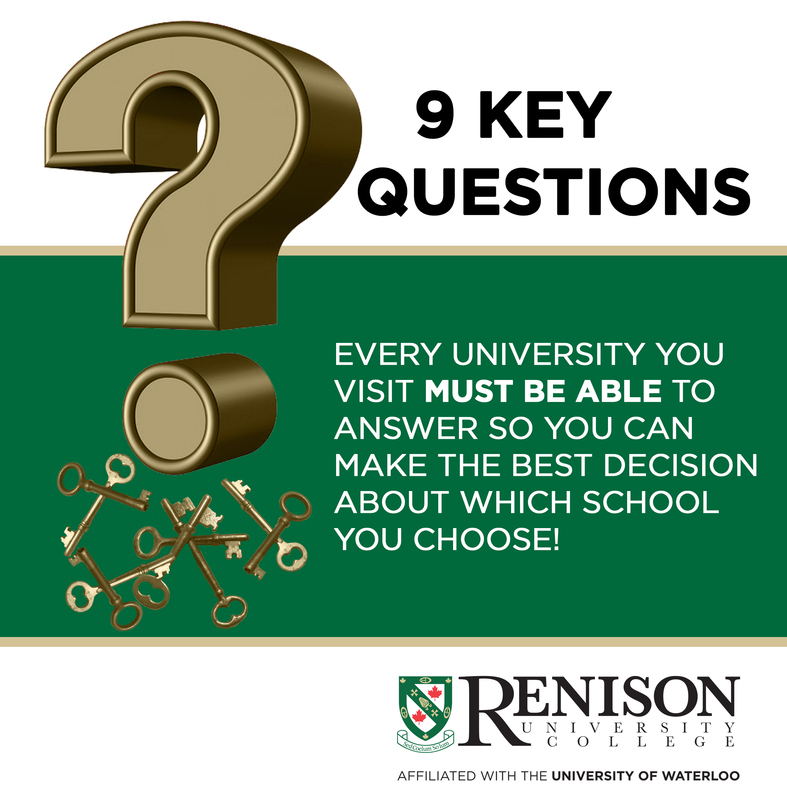 This site contains information on course prerequisites, residence, and a variety of supports Renison offers to students such as course selection and accommodation. We aim to make studying at Renison a great learning experience as well as one in which you’ll make new friends and enjoy a great lifestyle in a great city, Waterloo. The University Colleges are located on Waterloo's main campus and offer courses as well as residences. All 4 are much smaller than Waterloo Residences, which means you'll get to know almost everyone! You'll study or live in a smaller community, have access to all services and facilities on the main campus, and earn a valuable University of Waterloo degree. If you're looking for a smaller, close-knit residence or academic home base that is a five-minute walk to most buildings at Waterloo, then Renison University College (Renison) may be for you! Renison is a smaller community with its own character and distinctive programs where you can get involved and contribute. Students in any program can take classes or live at a University College – or both! Smaller community with residence rooms for 220 students with the lowest Don to student ratio on campus (1:20). Most spaces for first-year students are in traditional-style rooms. A five swipe per day meal plan (largest meal plan at Waterloo) rather than the declining-debit WatCard dollars used by Waterloo Residences. Renison University College acknowledges that we live and work on the traditional territory of ‎the Attawandaron (Neutral), Anishinaabeg, and Haudenosaunee peoples. The University of Waterloo is situated on the Haldimand Tract, the land promised to the Six Nations that includes ten kilometers on each side of the Grand River. After surveying over 2000 post-secondary students, researchers from four Canadian universities found that more than half of the students feel that they lack competence in the basic skills needed to succeed at university. Areas of perceived deficiency included writing, test taking, analysis, time and group management, research, presentation and numeracy skills. Yesterday, on April 24, 2019, the annual Arts Awards for Service, Teaching and Research were presented to faculty, staff and students who have made exceptional contributions the Faculty of Arts at the University of Waterloo. This year, Renison’s own Dr. Doug Cowan was recognized with an Arts Award for Excellence in Research. 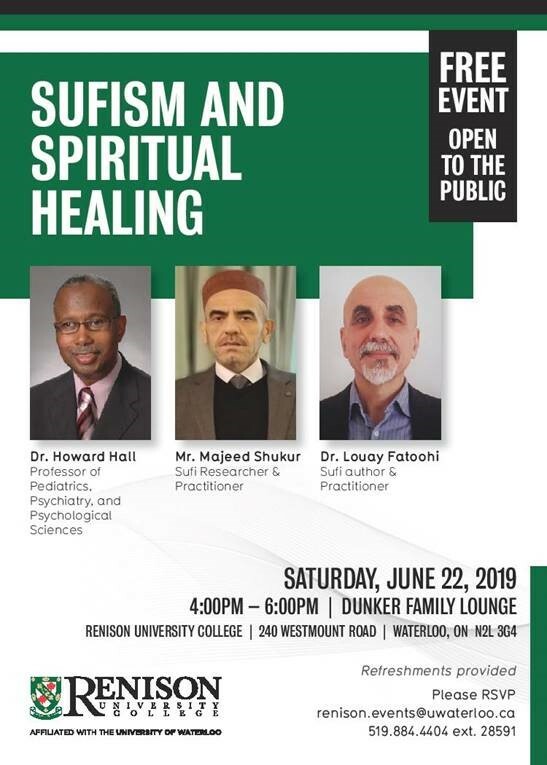 June 22, 2019Sufism and Spiritual Healing - Free Event! IN TODAY’S FIERCELY COMPETITIVE LANDSCAPE, YOU CAN’T AFFORD THE RISK OF CHOOSING THE SCHOOL THAT IS NOT THE EXACT FIT FOR YOU!